...Can it not be both? Personally, I have never understood the question's assumption that being a fan of two filmic or televisual narratives set in outer space would be inconceivable. Preferring one over the other is obviously fine, and common, but appreciating both equally is just as valid. Still, comparing the two is a misguided exercise: the universes are too separate, founded on different principles, and largely exist in different mediums. The basis of the question is weak. People might as well be asked if they’re more into Jack Reacher (2012) or Adventureland (2009) simply because both take place in Pittsburgh -- that makes them the same thing, right? Of course nobody thinks like that, but it’s essentially the logic of the question. 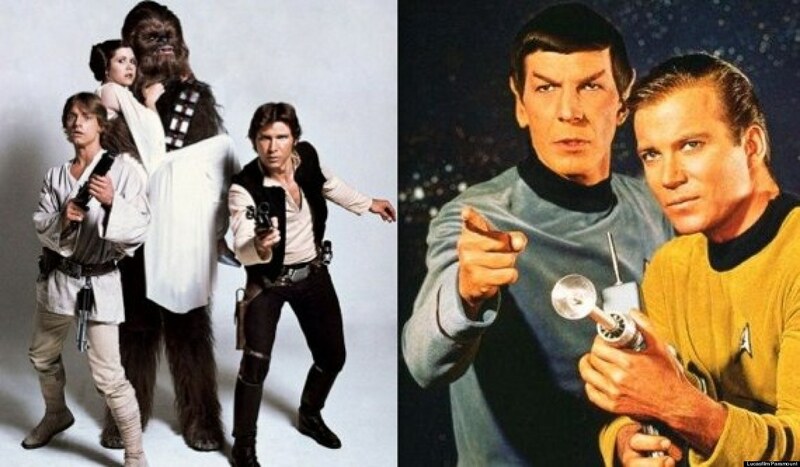 Other than the fact that both Star Wars and Star Trek take place in space -- a pretty thin criteria upon which to establish a preference for something -- the two franchises have little in common. People who aren’t a big fan of either Star Trek or Star Wars tend to be the ones offering this query, reasonably assuming the two have more in common than the first word of their titles. Yet we fans feel the duty to provide an answer, even though we know it’s an unimportant distinction. We profess our allegiance and move on to the next topic. They are distinctly different universes each replete with its own lovable qualities. But there is simply too much explaining to do in telling someone why Star Trek and Star Wars are not that similar. That said, the truth is that people (myself included) do tend to favor one over the other. But the reason for that isn’t because of the similarities between the two franchises -- it’s because of their vast differences. Star Wars was designed primarily as entertainment and the thematic messages of its narrative, putting less emphasis on the believability or scientific authenticity of its various sci-fi creations. The franchise is set in completely fictional locations with no known connection to Earth. It depicts a universe where constant conflict exists. The bulk of the universe’s known canon comes from its feature films. Star Trek was the product of Cold War and cultural sentiments of the 1960s. It promotes a vision of humanity that operates as a unified race, free of the burdens of hunger, poverty, or the need for material gain. Humanity has evolved into a race striving for self-betterment and knowledge, exploring the galaxy to that end. Its primary protagonists are representatives of a group known as Starfleet, which is an Earth-based organization that traverses space in search of new life. When they meet new species, they strive to not interfere in the natural progression of that species. Star Trek was created as a “space western,” to reflect societal desires at the time of its creation and to offer a philosophical example of a promising future for humanity. It attempted to establish scientific logic to many of its science fiction creations and is frequently cited as the inspiration for many realized modern technological developments. Much of Star Trek’s drama is based on diplomacy and exposition as opposed to action. It directly explores the nature of humanity, and that exploration serves as the foundation for the franchise’s material. Star Trek is based on Earth characters and takes place in our local galaxy as well as fictional locations with fictional races. It depicts an Earth where conflict no longer exists. The universe’s known canon is shared between its television series and feature films. Star Wars is about people struggling to survive in a persistent, ongoing war. Star Trek is about people trekking through space, looking for new species and information. 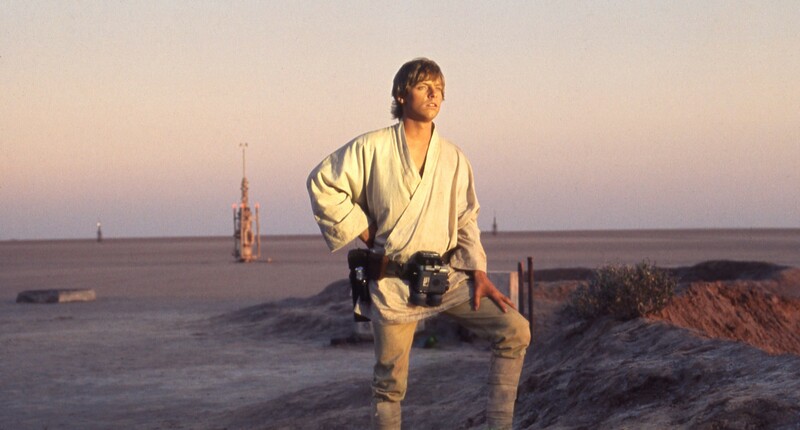 People love Star Wars because it can be revisited endlessly; its classic epic narrative never grows old. Good will always triumph over evil, while the preceding struggle never fails to engage us in an entertaining coming-of-age journey that carries us through a satisfying climax and resolution. 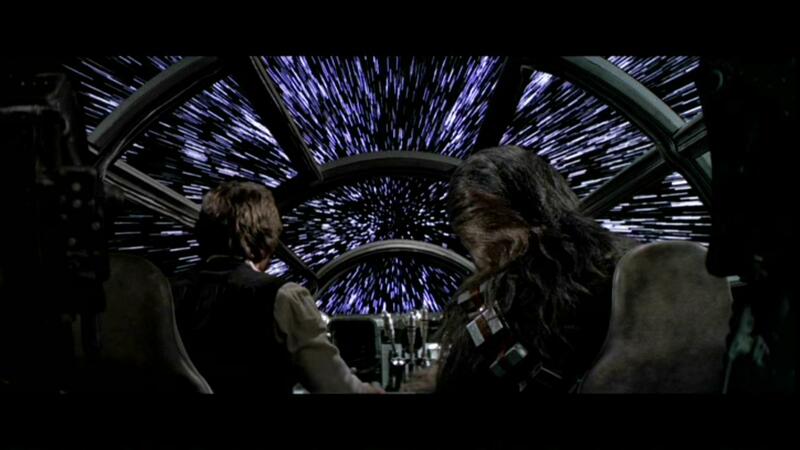 Star Wars also marks the first time many of its strongest fans were completely blown away by a moviegoing experience. When Star Wars hit theaters, it was a spectacle. Its characters aren’t rich or complex, but they are likable in their simplicity. Its narrative was linear and simplistic, but it told a basic story in a completely new and incredible environment, and along the way it used some of the most spectacular visual effects anyone had ever seen. Star Wars fans lined the blocks outside theaters trying to get in, and movie houses were sold out for weeks as people flocked to witness this unprecedented film. It was, by definition, an instant phenomenon. 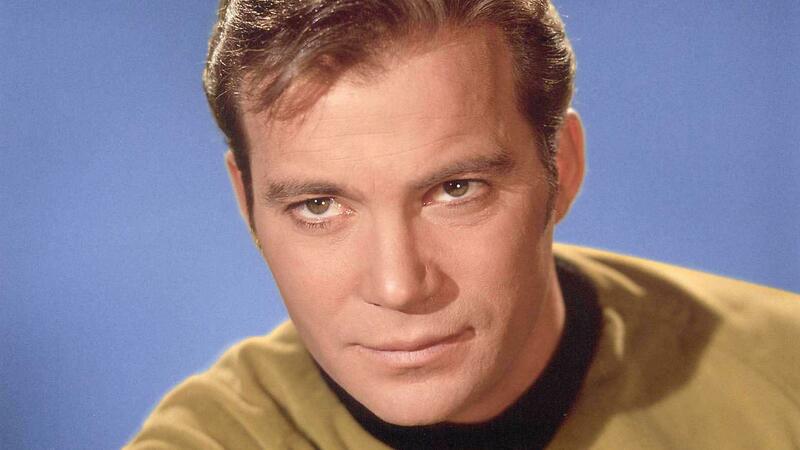 Star Trek, in contrast, was so cheap-looking when it premiered in 1966 that it seems hilarious by today’s standards. It was a low-budget show with unknown actors traveling through space and ending up on rocky terrain sets that all looked somewhat familiar. There were rubber masks, boom mics dropping into frame, and frequent and obvious use of models. Many of the series’ plots were ridiculous, and the series became known for its camp more than its quality. 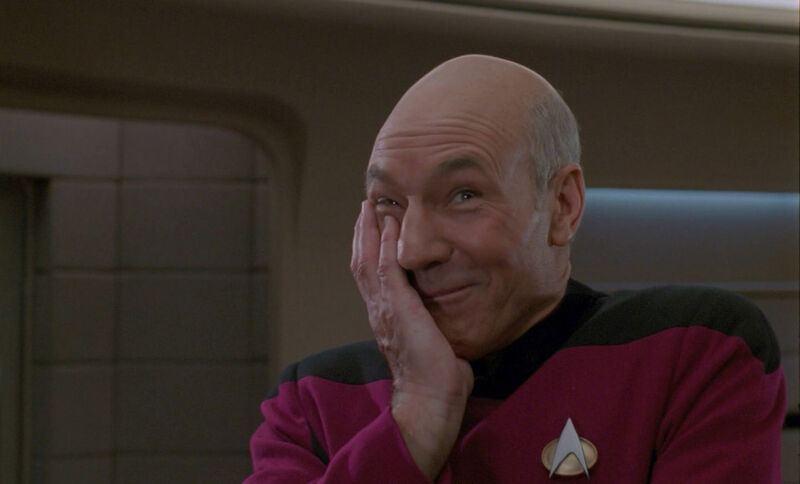 Star Trek didn’t even achieve mainstream popularity until after its cancellation while it was being shown in broadcast syndication. The show's growing popularity during syndication led to the creation of several Star Trek films and, eventually, its first spin-off series, The Next Generation (1987), which triggered Trek’s explosion in popular culture. Almost all of the franchise components named above came after The Next Generation. While Star Trek premiered to a generation of people who are now grandparents, both franchises have spanned decades and captured the hearts of multiple generations. The ability to observe each franchise from its origins and appreciate its evolution is one of the factors that commands such a powerful love from fans -- that and the unisex nature of both series, which include a plethora of characters with whom people of either gender can identify. Fandom for both series can be shared between parents and children, men and women, young and old. That makes for strong bonds, and strong commitment. Some Star Trek and Star Wars fans also like to theorize hypothetical situations, such as: Could The Federation win a battle over the Empire? Does a phaser beat a light saber? Is Boba Fett’s Slave ship stronger than the Enterprise-D? These are in-depth, reasoned comparisons, complete with an infographic. But that is the kind of material that we nerds talk about among ourselves. When people ask if we prefer Star Trek or Star Wars, our opinions are heard, but they have little influences on how fans ultimately align. With two universes made up of a multitude of media, viewers' decisions as to what to watch (and re-watch) come down to the core of what each narrative is: an entertaining space-based battle between good and evil, or a longer-form philosophical examination of the human condition. Trek requires work and appreciation for slow-paced intellectual drama, while Wars thrives on energy, charisma, and universal archetypes mixed with odd otherwordly creatures. The choice between the two is a matter of taste and not at all a reflection on which is, ultimately, a better story. I submit that both are worth loving.